Promote at the sporting event in bright colors no matter the sport. Racing, Football, Soccer, Basketball, Golf, Baseball and even a referee option available. 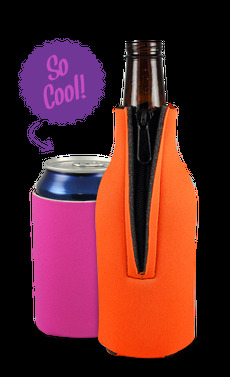 With free art always available with your new USA made koozie. Let us know what sport option you would like and we will print your new coolies in our stunning detail full color printing.